(MENAFN - Daily News Egypt) Switzerland's Federal Councillor, Ignazio Cassis, head of the Federal Department of Foreign Affairs, arrived in Egypt on Sunday on a two-day visit as he met with several representatives from the Egyptian government. Cassis is taking the opportunity to gain insights into Switzerland's cooperation programme in Egypt. His visit coincides with the 110th anniversary of Swiss-Egyptian trade relations. Egypt is a key partner for the implementation of Switzerland's North Africa Strategy, a statement of the Switzerland embassy in Egypt said, noting that since 2011, Switzerland has supported political, economic, and social development in the region as part of its cooperation with Egypt. Swiss activities in the field of migration are also coordinated via the North Africa Strategy. The situation in North Africa and the Middle East is a key item on Cassis's agenda in Cairo. Egypt currently also holds the presidency of the African Union. The talks also focused on bilateral relations, in particular the framework of international cooperation in Egypt. In this context, Switzerland is working to promote the democratic processes and human rights, spur economic development and employment opportunities, address migration challenges and ensure the protection of migrants. Cassis's visit will also afford him insights into specific cooperation projects undertaken by the two countries. One of the highlights of the trip is his visit on Sunday to a Cairo-based project aiming to improve the situation of migrants in Egypt. Through its economic and development cooperation activities, Switzerland is also helping to improve the living conditions of the local population. In the next few years, Switzerland will place an even greater focus on cooperation activities in the Middle East and North Africa. In November 2018, the Federal Council decided that this would be one of the four priority regions specified in the dispatch on international cooperation for 2021/24, which is currently under preparation. Ongoing cooperation with Egypt will be continued and, where possible, expanded. For example, the two countries recently conducted a first dialogue session on the topic of migration. During his visit, Cassis will also discuss potential migration-related projects. 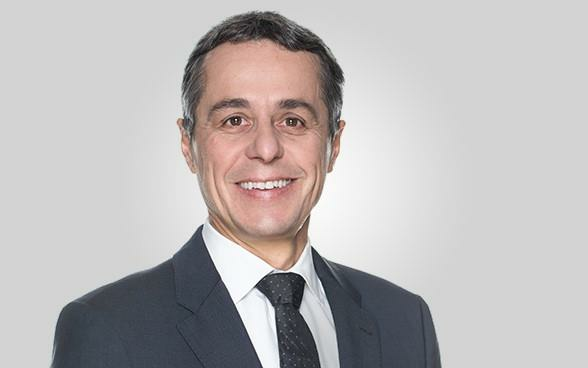 On 1 August 2018, the ambassador of Switzerland to Egypt, Paul Garnier, told Daily News Egypt that the next period will witness the announcement of a variety of important development projects, which Switzerland is working on to help contribute to Egypt's reform agenda, as set out in the country's 2030 Vision. A particular focus for the coming period is on Upper Egypt, one of the regions that has been most impacted by the country's recent economic challenges, the ambassador added, affirming that his country enjoys long-standing and multifaceted bilateral relations with Egypt. Partnership between both countries extend into a very wide variety of fields including political, economic, and development cooperation, culture, media, education, and even sports, he noted.